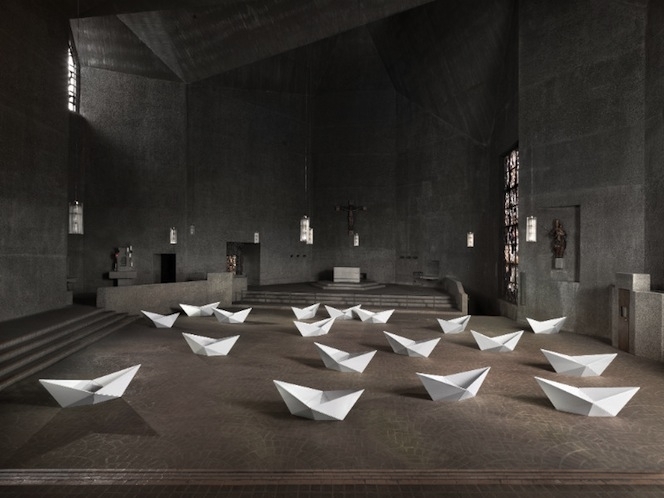 The exhibition "leaving and arriving" at the Kölner St. Gertrud church its being extended until April 17th, 2016. From Friday 15.04 to Sunday 17.04 from 3pm - 8pm. Also on Thursday 14.04 the installation can be seen from 5pm - 7pm.